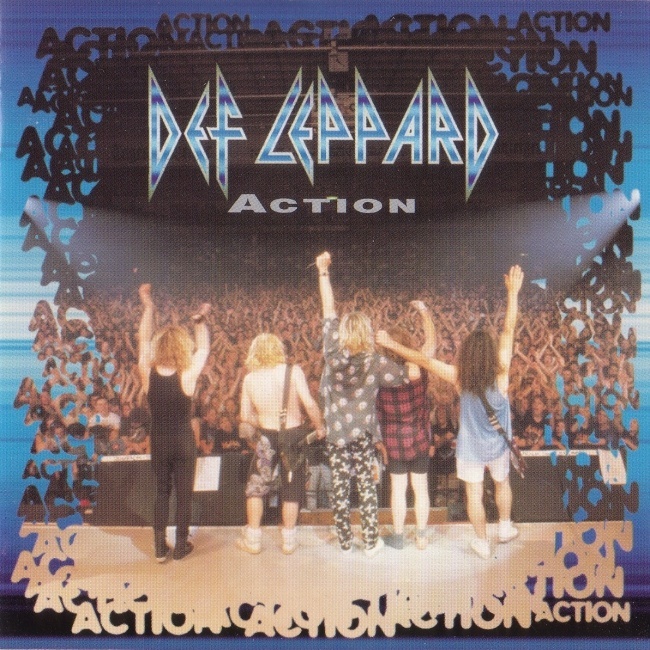 Def Leppard released their classic single Action 25 years ago on this day in 1994 in the UK. It was first released as the B-Side to 'Make Love Like A Man' in June 1992 with a more electronic sounding snare drum along with two other future singles 'Two Steps Behind' and 'Miss You In A Heartbeat'. When putting together the 1993 'Retro-Active' collection of B-Sides and unreleased songs/versions the band decided to revamp it with a new snare drum sound. Vivian Campbell (along with friend P.J. Smith) sang backing vocals in one of his first contributions to the band. The single was released in the UK on a regular CD single featuring Joe Elliott's original 1985 demo for 'She's Too Tough' with his original guitar solo included. 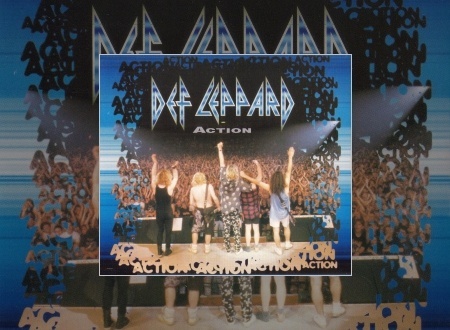 Plus Phil Collen's original demo for 'Miss You In A Heartbeat'. 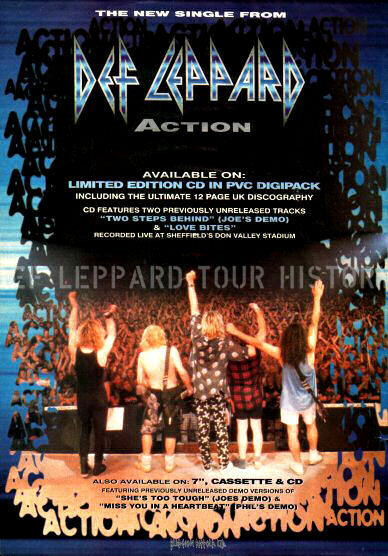 A second limited edition CD single was housed in a PVC Video Box/Digipak case featuring a 12 page (and very inaccurate) UK Discography, Joe's demo for 'Two Step's Behind' and 'Love Bites' live from the 1993 Don Valley Stadium show. Cassette and 7" versions were also released. On Germany the CD single included both 'Foolin'' and 'Too Late For Love' live from Don Valley Stadium. This was the only release that included 'TLFL' from this show. Both 'Foolin'' and 'Love Bites' would be released again on the 1995 'Vault' bonus live CD.